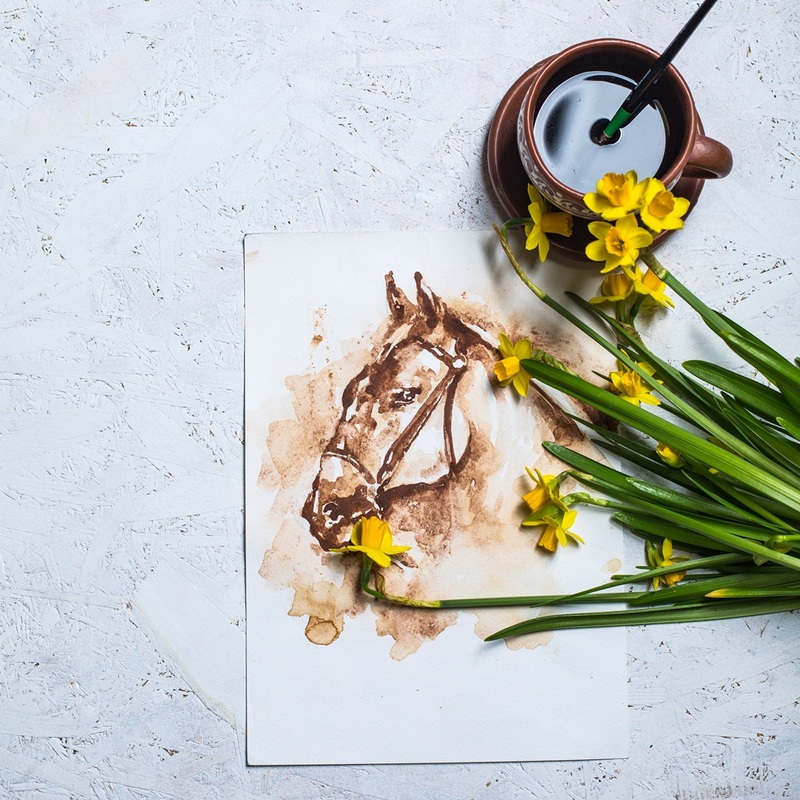 Check all available dates 29/04/2019 o 11:00 год. 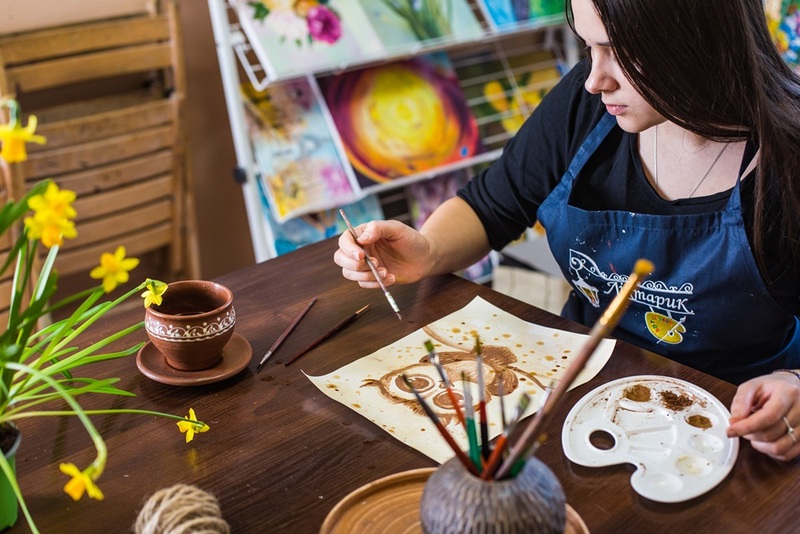 05/05/2019 o 11:00 год. 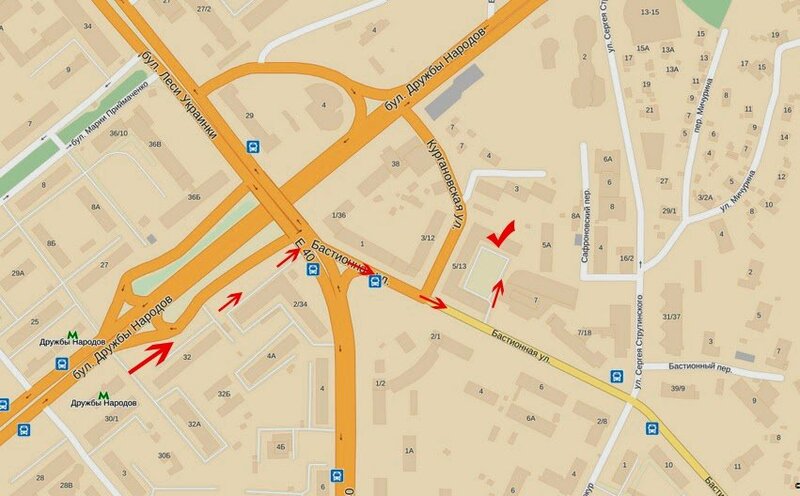 09/05/2019 o 17:00 год. 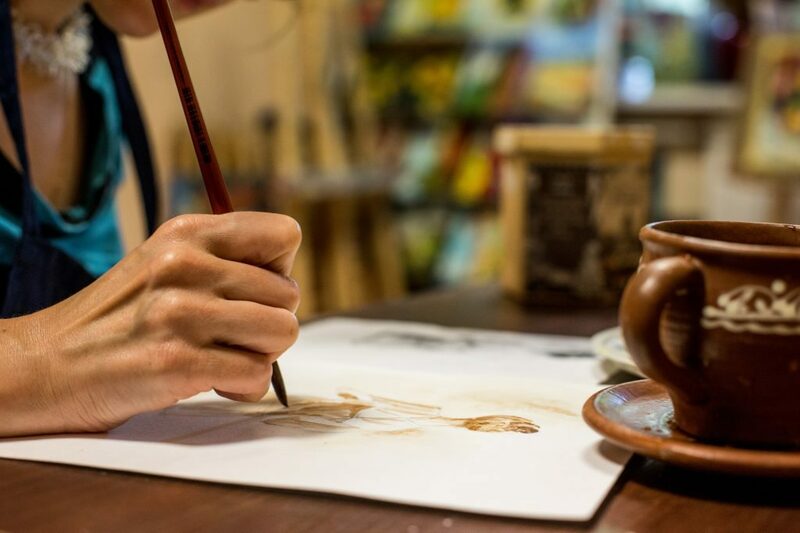 12/05/2019 o 15:00 год. 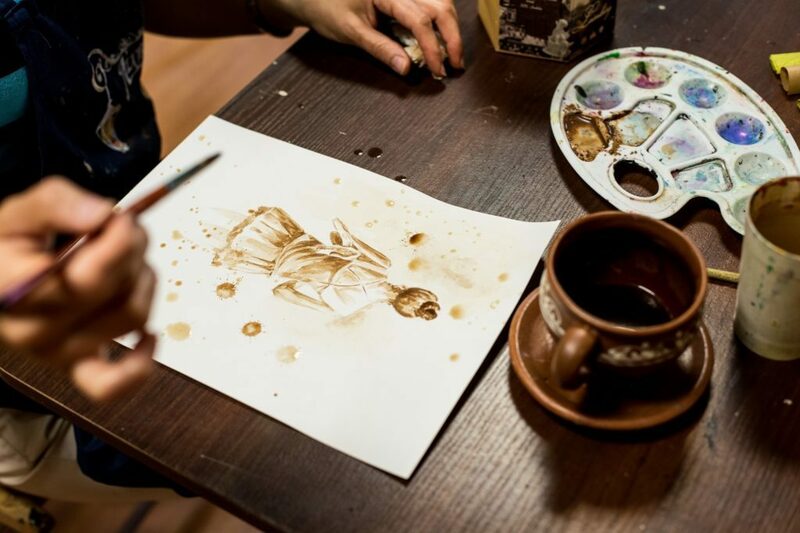 19/05/2019 o 13:00 год. 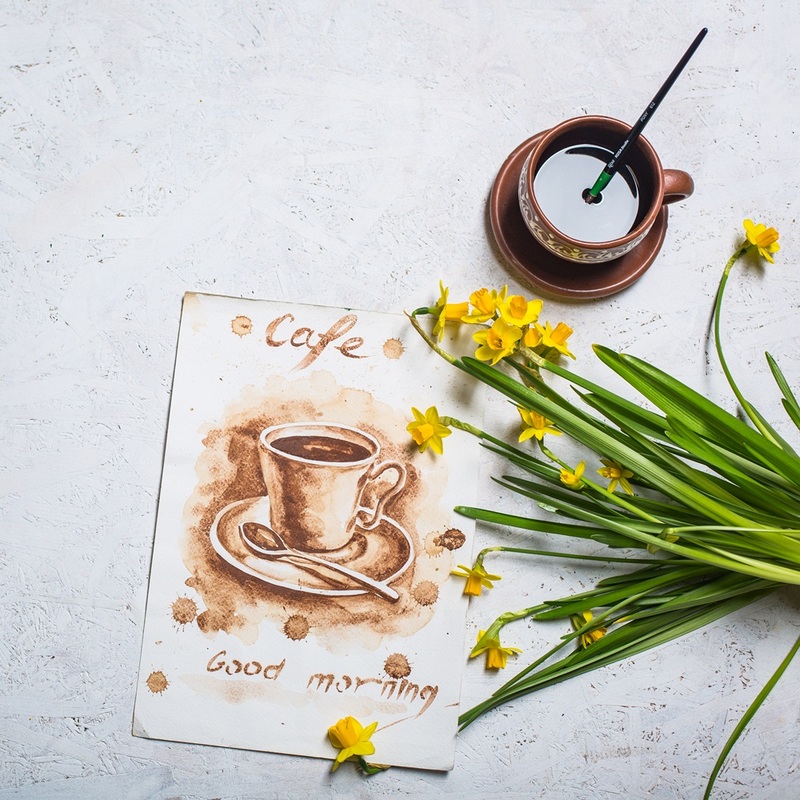 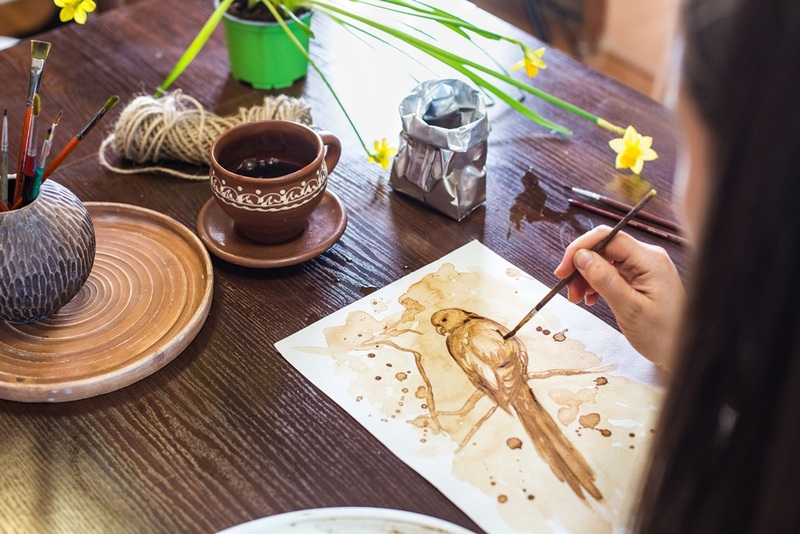 People around the world love coffee so much that they have even invented the so-called coffee-art and started painting with this drink! 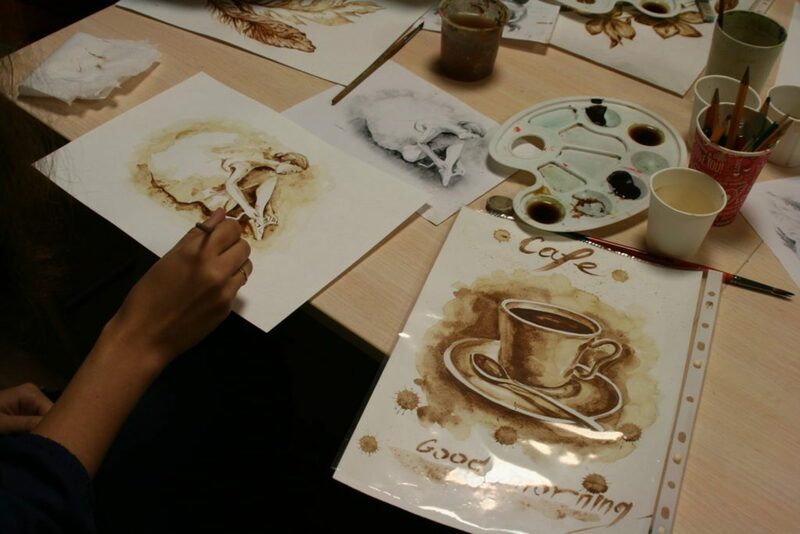 Nowadays coffee painting is a trend in contemporary art which is gaining more and more popularity. 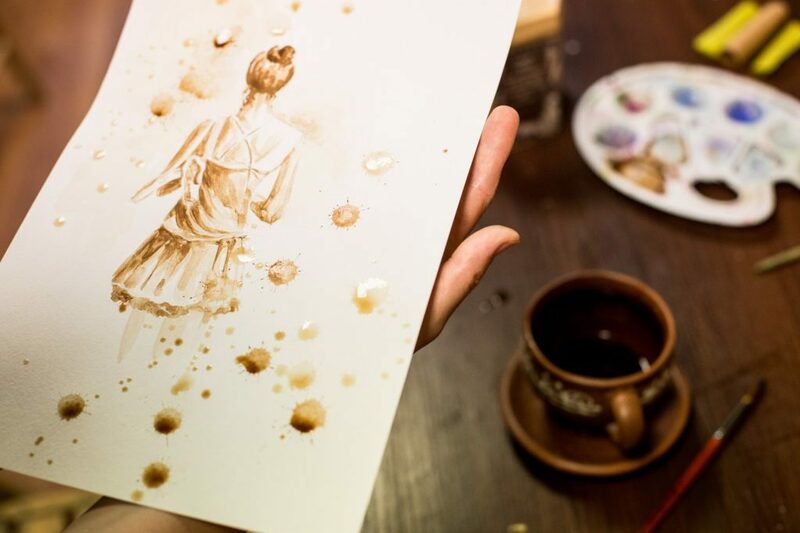 It is both marvelous and original to brew a cup of strong fragrant coffee but instead of tasting and drinking it as you are used to, you plunge your brush into it and try to create a masterpiece on paper. 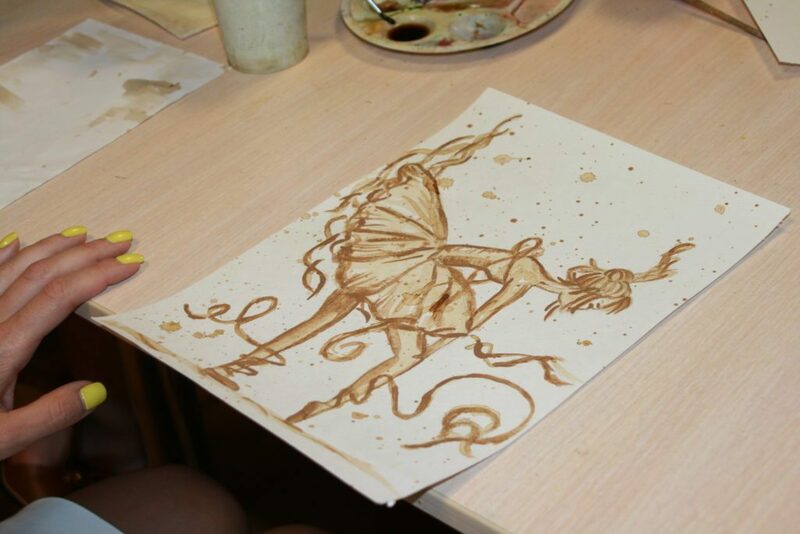 Coffee-painting is similar to watercolours and likewise requires painstaking work. 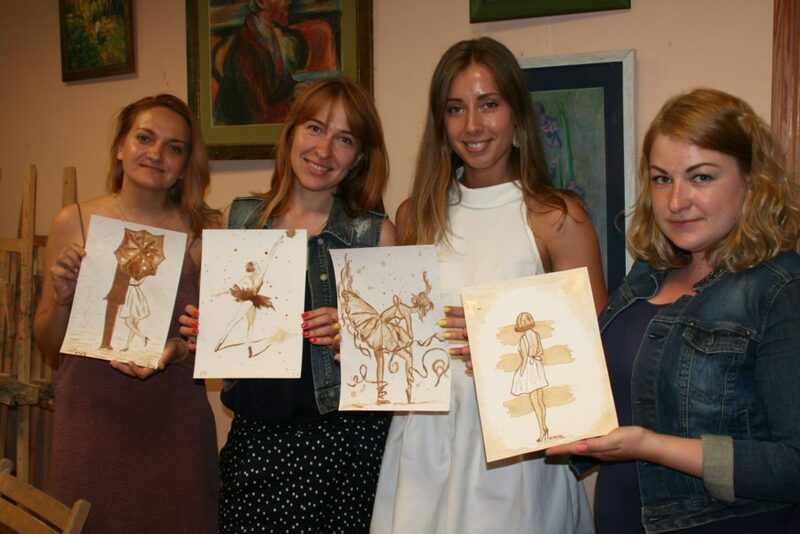 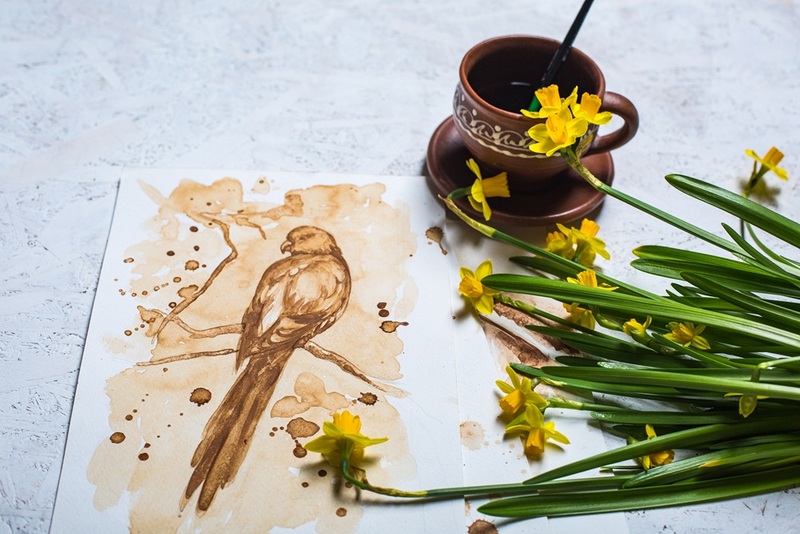 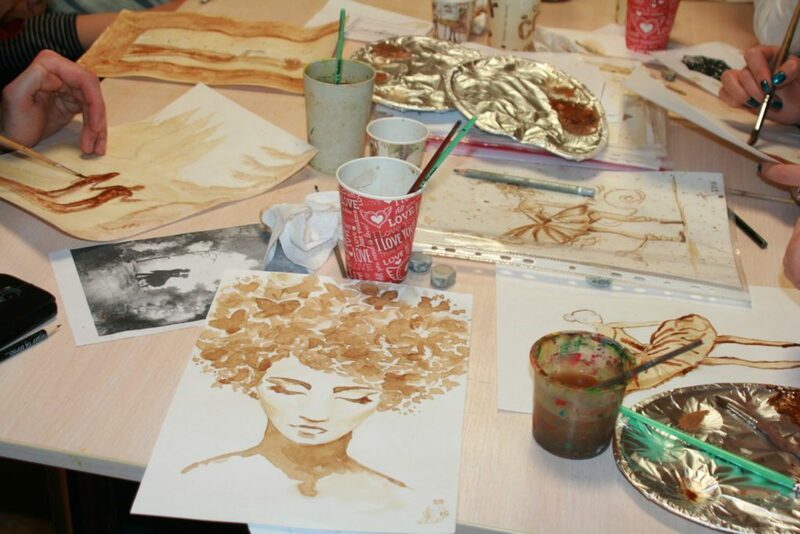 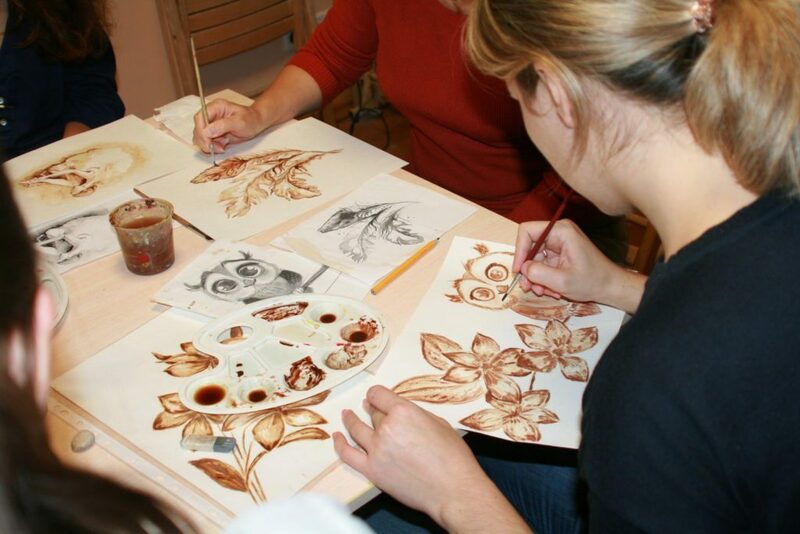 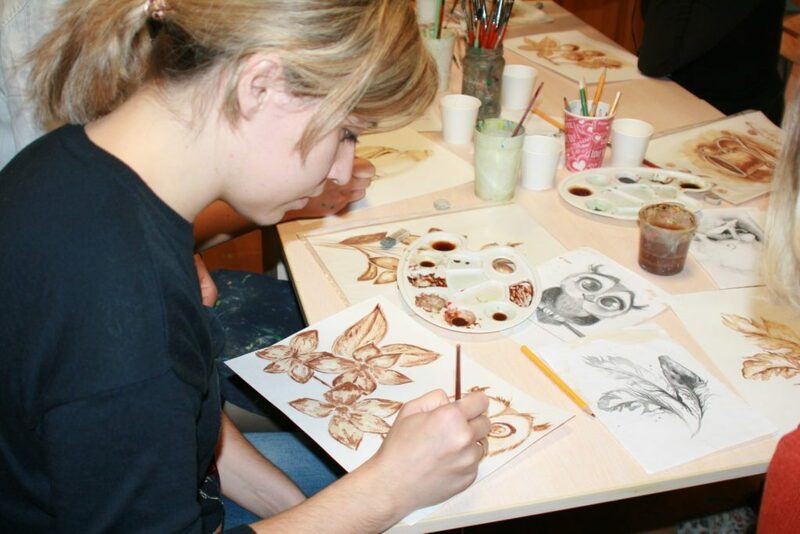 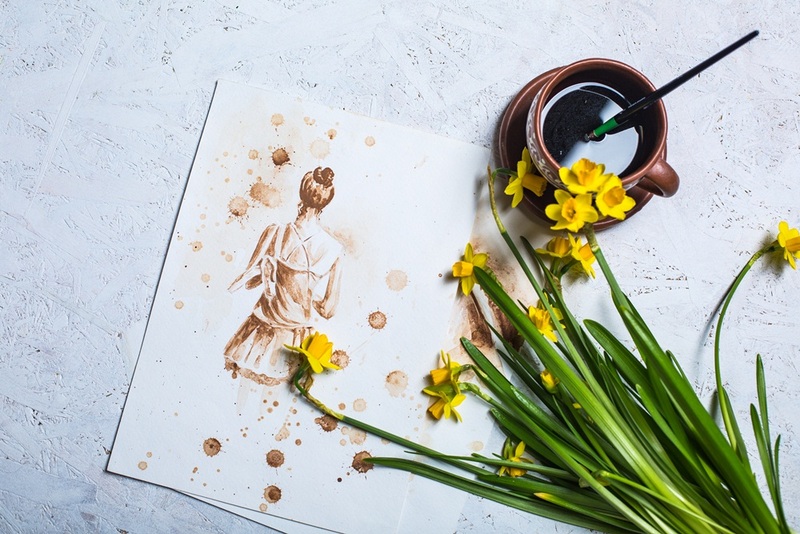 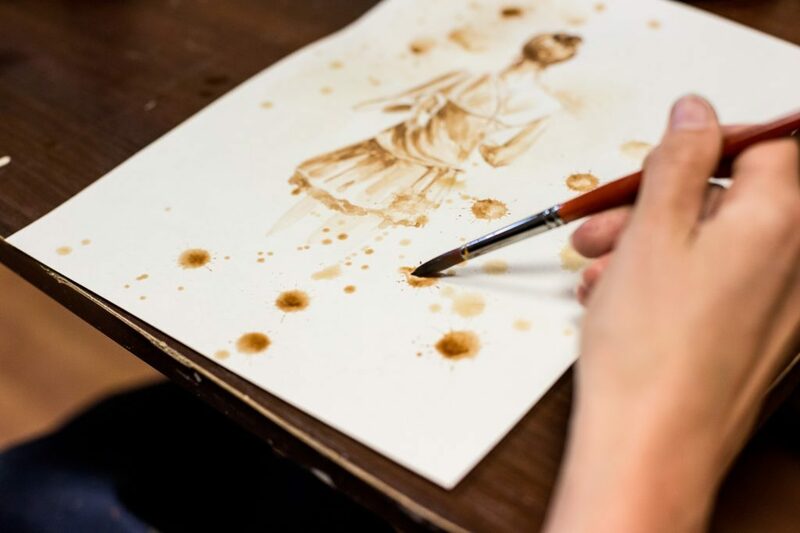 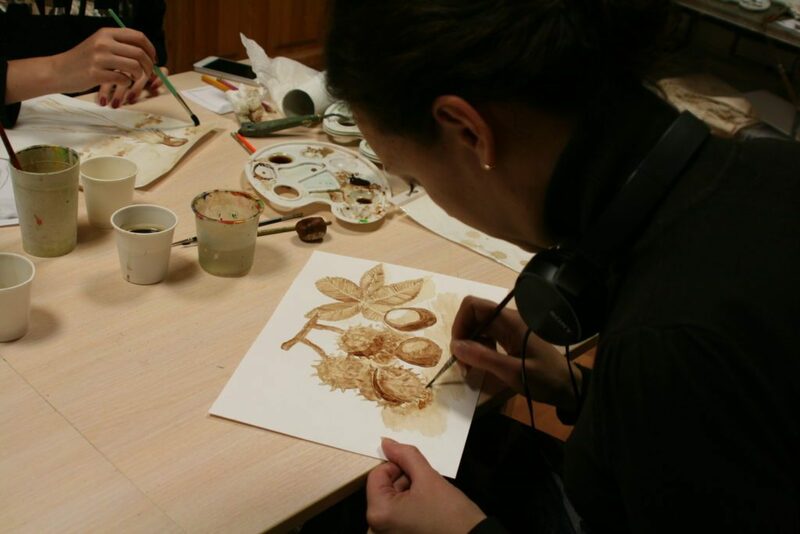 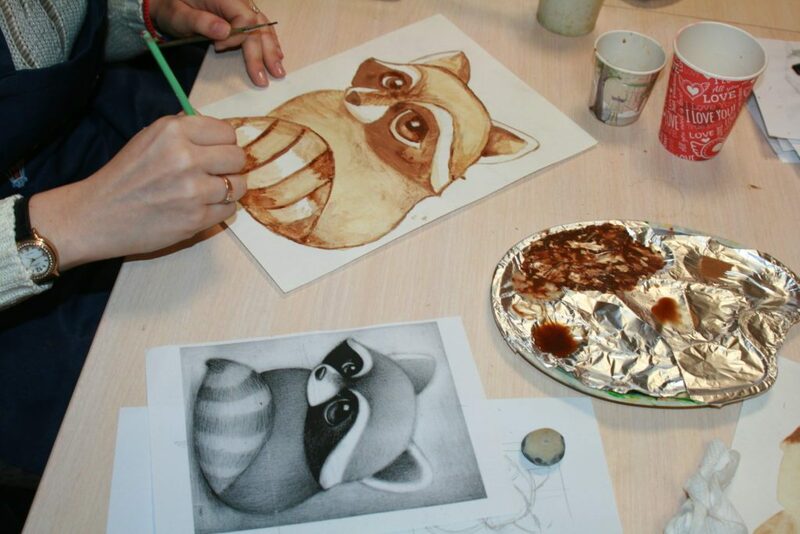 The masters and artists of the Lihtaryk Art Studio know how to paint with coffee on paper, what complementary effects are created by cinnamon and cocoa and will be glad to teach you this as well. 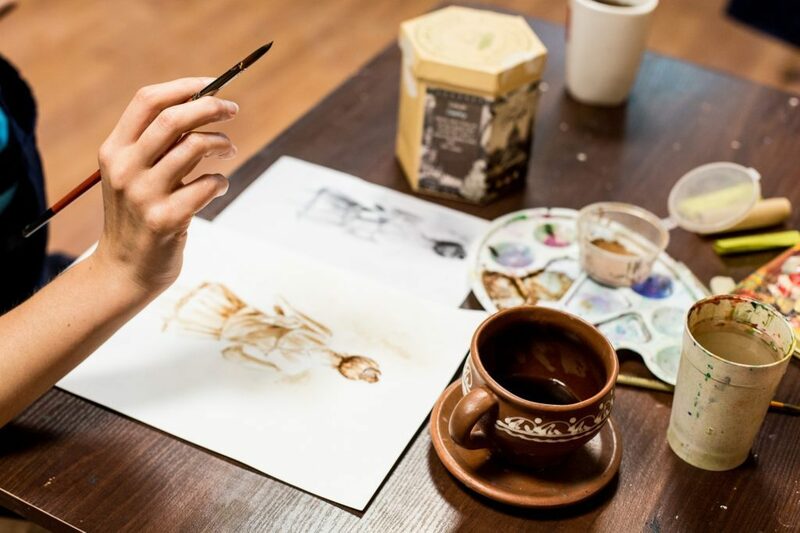 The colour scale of coffee palette contains huesranging from light-yellow to dark-brown and in their turn they wonderfully convey the antique effect in the picture. 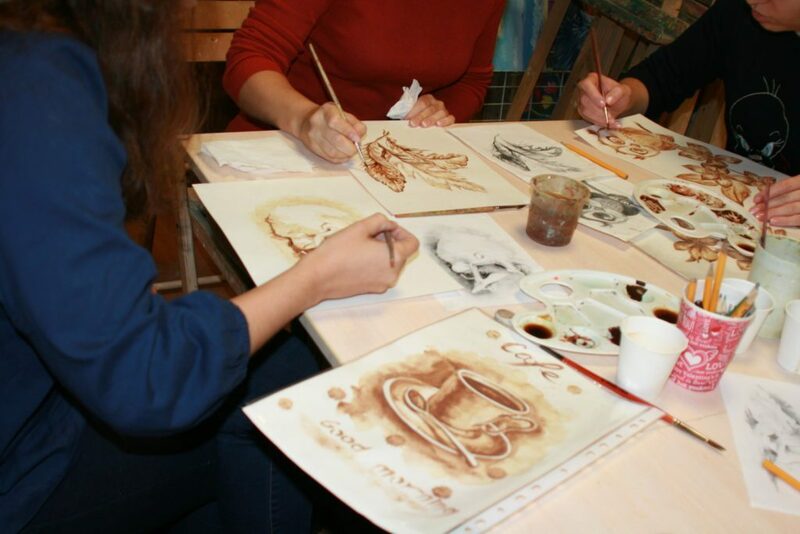 Some artists confess that coffee is best for painting historical landmarks, old town streets, architecture and mountains. 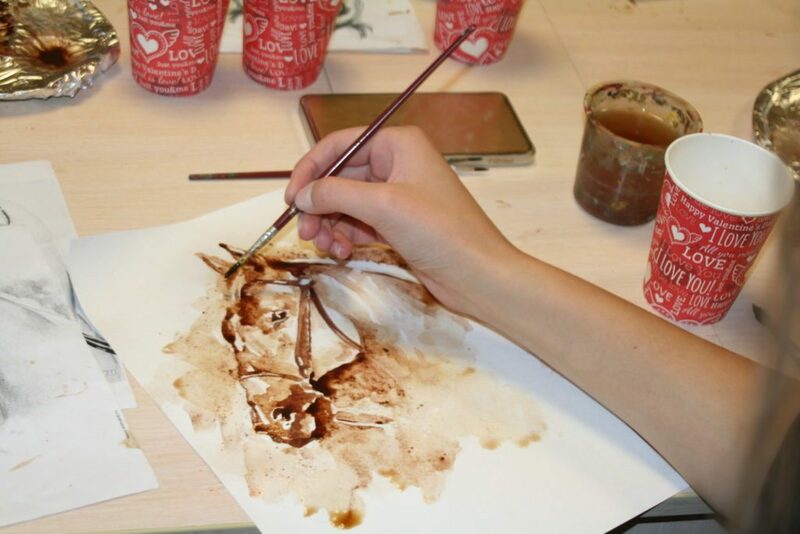 So come to us for a cup of coffee – to paint and to relax. 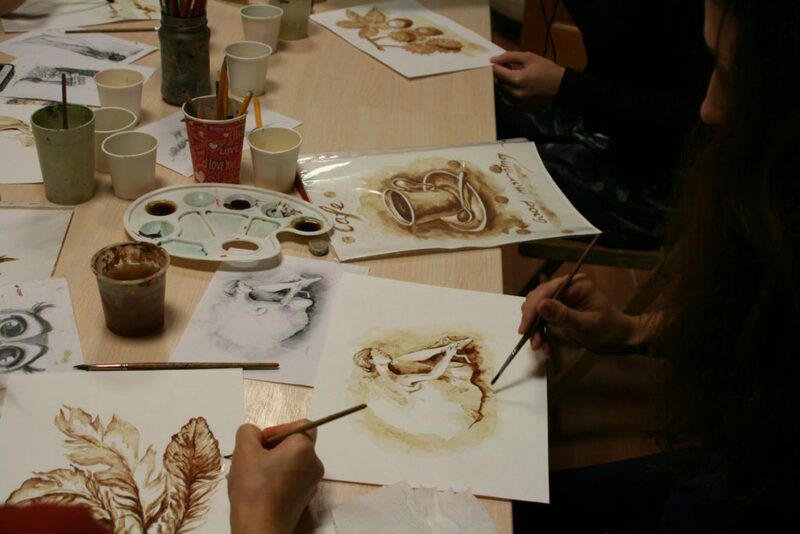 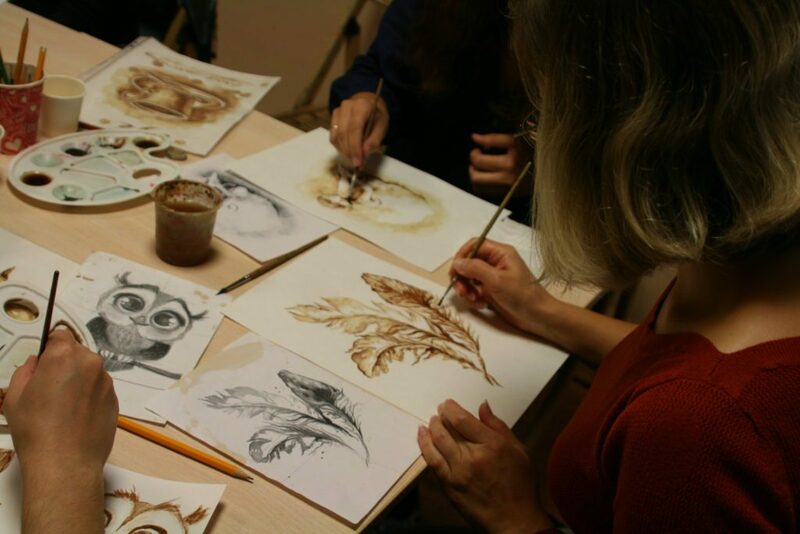 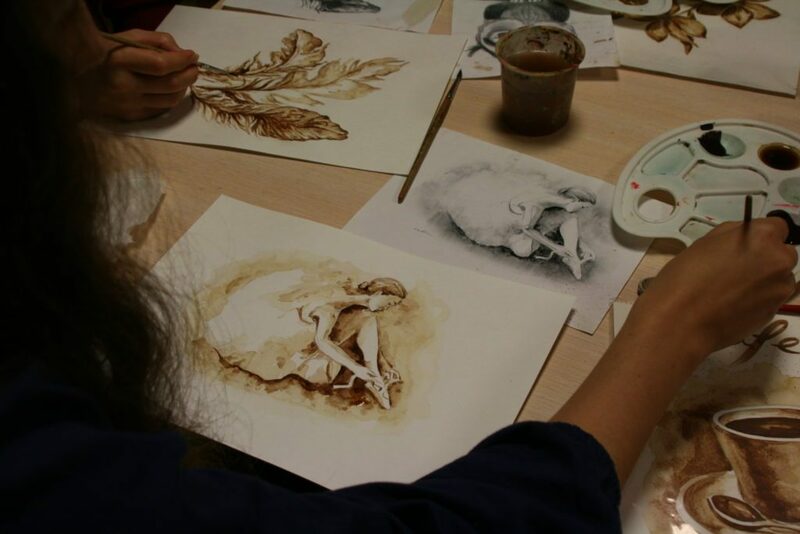 The masterclass program presumes that each participant paints a 20х30 format picture on aquarelle paper with coffee, cocoa and cinnamon. 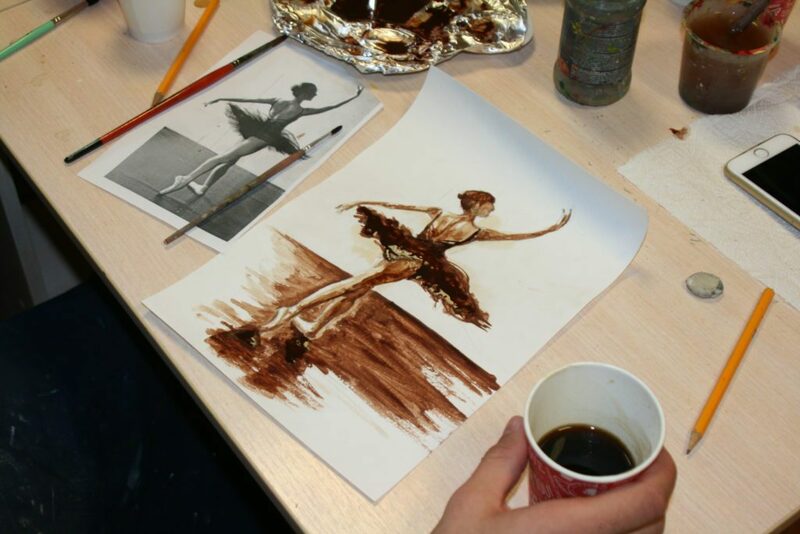 The painting subject is free composition.